I have the cutest, cheekiest and craziest niece, who recently turned two. She has a ridiculously sweet tooth to boot, so I couldn't resist making her a cupcake-print Louisa Dress. 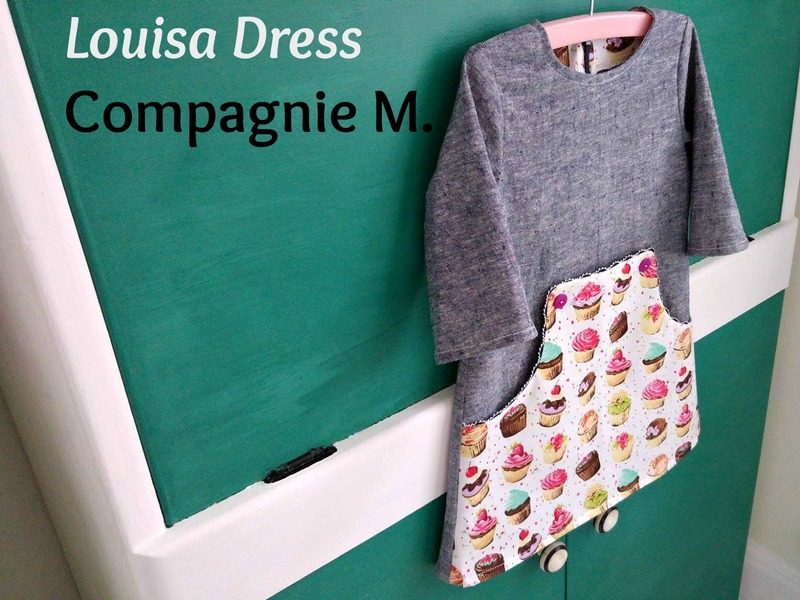 I've said it before, but I really can't get enough of this pattern from Compagnie M.! Even though I've only made the one version multiple times, the other views are super adorable too. This time I decided to sew the sleeves in flat, rather than set them in and it was a much more pleasant experience. Setting in teeny tiny sleeves can really test one's patience! 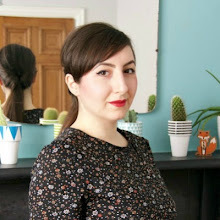 Anyway, you can read my thoughts on the pattern from when I first blogged about it. I used a beautiful denim-look linen from my stash, but I've had it so long I can't remember where it came from...maybe M is for Make. 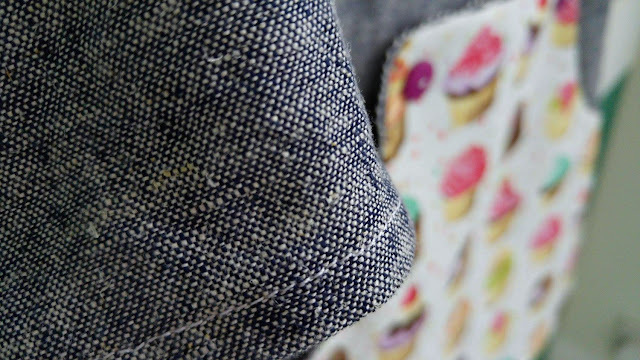 The fun cupcake print was a spontaneous Leicester market buy a couple of years ago. I'm particularly pleased with how the subtle ric-rac pocket trim turned out - this unusual ric-rac (navy with a while lace/crochet effect) was kindly gifted to me yonks ago by the delightful Winnie of Scruffy Badger Time. 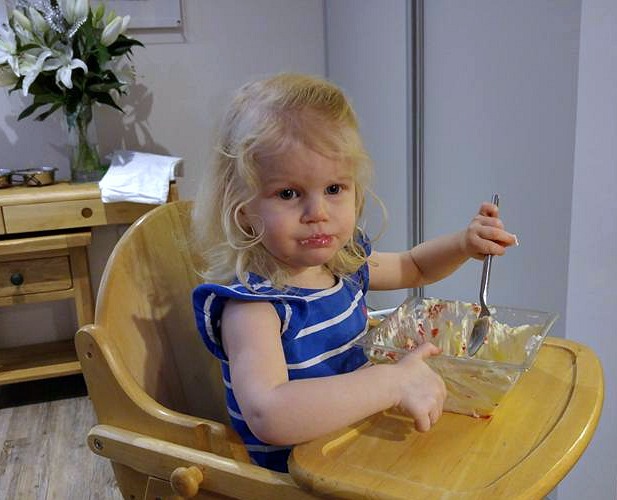 And just in case you didn't believe the bit about the sweet tooth, here is the little madam herself, scoffing the remains of a trifle at Christmas! Pssst! The Louisa Dress pattern is also available in big girl (adult) sizes!!! 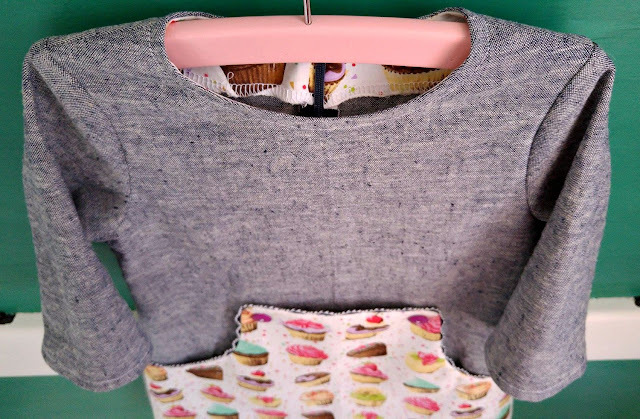 Nice little dress for your adorable niece. The cupcake fabric looks great. You are right. Your niece is adorable. The dress is super cute. Would much would that pattern cost in Us dollars? I love this pattern too. What a sweet dress and perfect for your niece. I'm sure she'll love wearing it. I made the adult size. Just as cute for adults as it is for kiddies. Aaaw, thanks so much Jo...you're too kind! Do you work in the media/press then? How exciting! 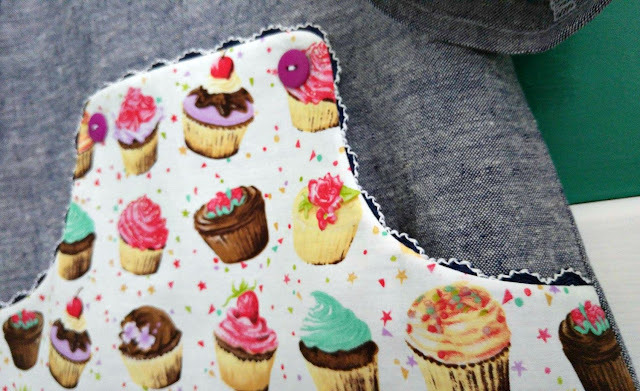 I love that cupcake print! It looks great and a matching adult one would be so cute! Yeah, what a great idea! Aw, that is an adorable little dress, as is your niece. Such a cute little dress, the ricrac works particularly well. Good advice about setting the sleeve flat, I never thought about how fiddly small sleeves could be. Adorable! 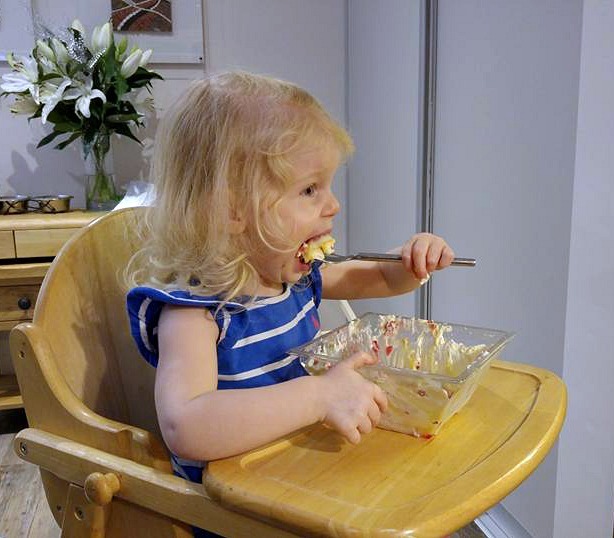 I especially love the photos of her indulging her sweet tooth!